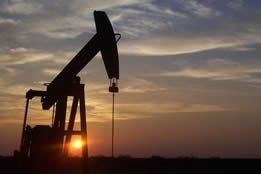 The pernicious fear that global demand growth for crude will lag this year compared to 2018 once again conquered comparatively good news and on Thursday caused oil prices to tumble by 2.5 percent. West Texas Intermediate settled $1.37 lower at $52.64 per barrel (a 2.5 percent loss), while Brent fell $1.05 per barrel to $61.64, in conjunction with the Dow Jones Industrial Average dropping over 250 points due to a senor administration official stating that a meeting between U.S. president Donald Trump and China's president Xi Jinping is highly unlikely to occur in time to avoid higher U.S. tariffs on Chinese goods. Since the U.S./China dispute is viewed as the key driver of a potential economic slowdown, crude traders responded accordingly, which baffled level-headed analysts such as Ole Hansen, head of commodity strategy at Saxo Bank; he pointed out that "Supply fundamentals have increasingly been turning supportive in recent weeks, but against this the market still worries about the yet-to-be-realized if at all impact on demand from weaker macroeconomic fundamentals." Another factor that should have fueled a bullish response is Saudi Arabia, telling the Organization of the Petroleum Exporting Countries (OPEC) that it had pumped 10.24 million barrels per day (bpd) in January, less than had been targeted in the cartel's cutback agreement. Jean-Pierre Durante, head of applied research at Pictet Wealth Management, was as dismayed as Hansen by Thursday's trading behaviour: "We believe that financial markets may be overestimating the risks of a global recession. "Moreover, lower oil prices prices were between 14 percent and 18 percent lower in January than their 2018 average are likely to stimulate economic activity and oil demand, particularly in emerging markets." Yet more good news, albeit potentially so, is a disclosure that Venezuela opposition leader Juan Guaido will name a new governance board for Citgo Petroleum in a bid to block president Nicolas Maduro from that country's oil business; the board will be backed by the U.S. as Citgo's controlling legal entity. And as if to remind the larger community that oil prices don't necessarily reflect the health of the sector, Bloomberg on Thursday pointed out that despite the crude market having its worst quarter in four years in 2018, "the world’s five largest publicly traded oil companies exceeded analyst expectations [for earnings], in some cases obliterating them."